Join us every 2nd Tuesday of every month – It’s FREE! Local Artists set up inside Freebird Live! Come join us to support your local artists & enjoy ice cold beverages. Family friendly event takes place along 1st Street from Beach Blvd to 5th Ave North. 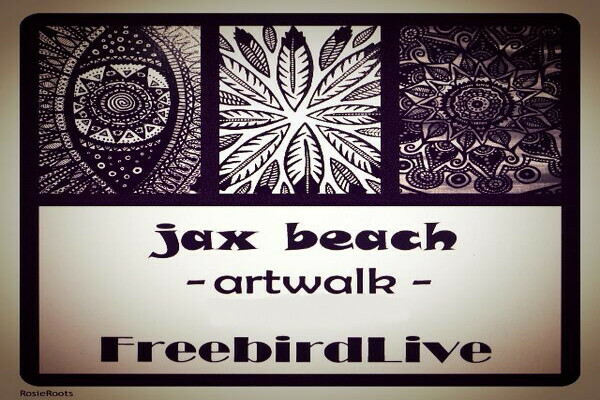 The Jax Beach Art Walk showcases the talent of great local artists.